Spectre (2015) is the twenty-fourth James Bond film produced by Eon Productions, and is the direct sequel to the 2012 film Skyfall. It features Daniel Craig in his fourth performance as James Bond, and Christoph Waltz as Ernst Stavro Blofeld, with the film marking the character's re-introduction into the series. It was directed by Sam Mendes as his second James Bond film following Skyfall, and was written by John Logan, Neal Purvis, Robert Wade and Jez Butterworth. It is distributed by Metro-Goldwyn-Mayerand Columbia Pictures. With a budget of $245–350 million, it is the most expensive Bond film and one of the most expensive films ever made. The story sees James Bond pitted against the global criminal organisation SPECTRE, marking the group's first appearance in an Eon Productions film since 1971's Diamonds Are Forever, and tying Craig's series of films together with an overarching storyline. Several recurring James Bond characters, including M, Q and Eve Moneypenny return, with the new additions of Léa Seydoux as Dr. Madeleine Swann, Dave Bautista as Mr. Hinx, Andrew Scott as Max Denbigh and Monica Bellucci as Lucia Sciarra. 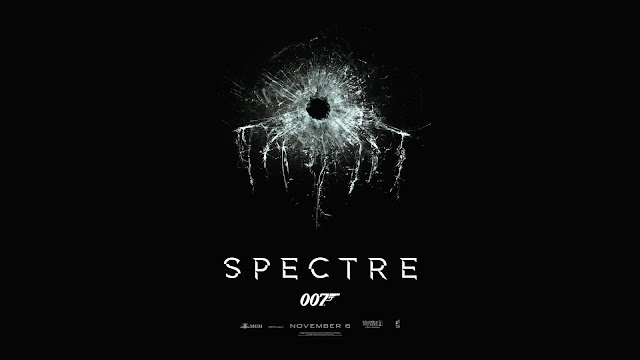 Spectre was released on 26 October 2015 in the United Kingdom on the same night as the world premiere at the Royal Albert Hallin London, followed by a worldwide release. It was released in the United States on 6 November 2015. It became the second James Bond film to be screened in IMAX venues after Skyfall, although it was not filmed with IMAX cameras. Spectre received positive to mixed reviews upon its release; it was criticised for its length, lack of screen time for new characters and writing, but received praise for the cast's acting, the direction, action sequences, cinematography and score. The theme song received mixed reviews, particularly compared to the previous theme. As of 27 December 2015, Spectre has grossed over $850 million worldwide.